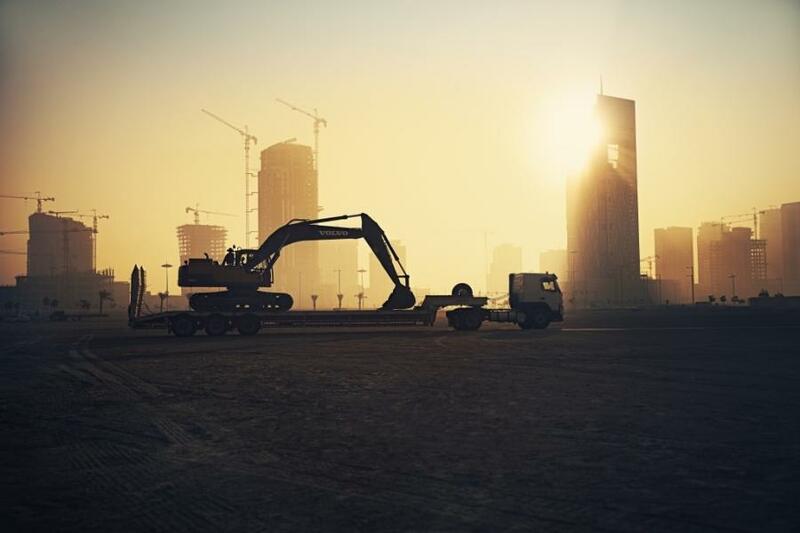 The arid desert north of Doha, Qatar was the second destination for the campaign, as over 240 Volvo machines worked tirelessly in temperatures of up to 50°C to build the new sustainable city of Lusail. Bringing together a range of customer success stories from around the world, Volvo Construction Equipment (Volvo CE) has launched the brand film 'Building Tomorrow.' Released on Oct. 14, it showcases how Volvo machines through a variety of customer projects are working to create a better future for the generations to come, "to build the world we want to live in." The campaign, which premiered in December 2016, is supported by a series of short films. The first episode featured Volvo machines braving the frozen landscape of Northern Sweden, where the iconic ICEHOTEL 365 is running all year round, cooled by solar power with a goal of becoming CO2 negative. The arid desert north of Doha, Qatar was the second destination for the campaign, as over 240 Volvo machines worked tirelessly in temperatures of up to 50°C to build the new sustainable city of Lusail. The Kouga Wind Farm in South Africa was the focus of the third video and shone a light on the renewable energy sector, which has a target to provide 42 percent of the country's energy requirements by 2030 while empowering the local communities. 'Building Tomorrow' demonstrates how Volvo machines are contributing to both sustainability and customer success, reinforcing the Volvo Group's mission of "driving prosperity through transport solutions." “As a member of the WWF Climate Savers, we are committed to steering change in the industry, and just as this campaign promotes extraordinary examples from our customers' businesses in a wider perspective, we hope that it motivates others to work towards a sustainable future too,” said Niklas Nillroth, vice president of Environment and Sustainability at Volvo CE. Launched on Oct. 14, the film is available to watch across Volvo CE's digital channels and will also debut during a live concert – which will be live-streamed – in Alicante, Spain, a week before the start of the Volvo Ocean Race. The longstanding offshore race has increasingly become a platform for driving awareness around the issue of sustainability and ties in well with Volvo CE's brand film "Building Tomorrow." “The world is transforming, customer requirements are changing, and with this human-centric approach we want to show how Volvo will continue making a difference for people everywhere, now and in the future,” said Bill Law, senior vice president of Corporate Communications at Volvo CE. To find out more visit www.volvoce.com/buildingtomorrow. 'The River' is the official soundtrack of Volvo CE's brand campaign 'Building Tomorrow' and is performed by up and coming Swedish band, Moment. The single is available on Spotify from October 13th.